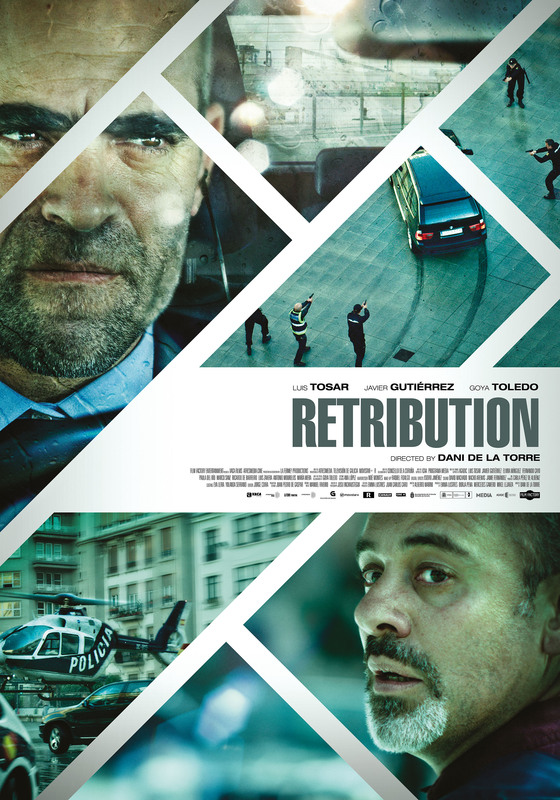 From the producers of the international box-office hits Cell 211 and Red Lights, and starring Luis Tosar (Cell 211, Sleep Tight), RETRIBUTION is an action-packed, car-chase thriller that will have the audience on the edge of their seats. Carlos is an unscrupulous banker and a family man who takes his kids to school. This morning, when he turns his keys in the ignition, a cellphone rings somewhere inside the car. When they finally find it, the man on the other end demands a half million euros. When Carlos refuses, the blackmailer informs him of the bombs places under their seats. If they try to escape the car, if he even slows down too much, the bomb will go off. His only way out is to comply. Trapped, Carlos’ deadly nightmare begins. Stalked by a psychopath and hunted by the police in a high-voltage car chase, Carlos uses every dirty business trick he knows and challenges the little professional ethics he’s got left in this frantic attempt to save them all.